Fr. Joseph-Anthony Kress, O.P. entered the Dominican Province of St. Joseph in 2010. He made his solemn profession on August 9, 2014, and was ordained a priest on May 21, 2016. In the spring of 2010, he graduated from Franciscan University of Steubenville with a Bachelor of Arts and subsequently received a Bachelor of Sacred Theology and Masters of Divinity from the Pontifical Faculty of the Immaculate Conception. Fr. 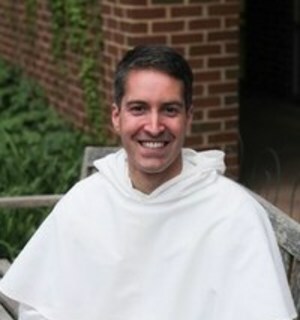 Joseph-Anthony’s previous ministry placements include assisting at the Newman Center of George Washington University as well as at Mount De Sales Academy in Catonsville, MD. A native of St. Clairsville, OH, he is the youngest of three. Who should come? : All adults who work in youth ministry. This is a great opportunity to pray and retreat with fellow youth workers. Start Time: We will have check-in from 5:30 p.m. to 6:00 p.m., with Dinner to follow at 6:00 p.m. Closing Time: We will close with Mass on Sunday Morning at 10:00 a.m.